Think back to the last truly great customer experience you had. I’m guessing it didn’t involve a chatbot. And that’s because, while automation can create a consistently good customer experience, truly memorable ones almost always involve humans. My family moved house last summer. Like most families on moving day, we were stressed and hoping we’d get out before the new owners arrived. Our removal company was brilliant. But not because of their efficiency or time-keeping, wonderful as that was. What made them so good was how they involved our three-year-old son. They asked him to help pack the boxes, let him draw all over them, and even gave him a toy version of the removal van to play with. Incredibly simple, but with a significant impact on the ease of the move. They understood that there are two types of customer experience: the functional and the emotional. They focused on getting both right. For years, companies have been fixated on optimising the functional experience, largely to save themselves money by removing people from the process. More things can now be done more efficiently: banking has moved from branches to smartphones; health advice from GPs to NHS 111; retail from shops to the web. However, while the functional experience has been advancing at pace, it’s often to the detriment of the emotional experience. And yet, the thing that really influences a customer’s experience (and therefore their decisions) is how you make them feel. Think about buying a train ticket. You stand in front of the machine, and stare at around 14 different options for your route that day: single, advanced, off-peak, super off-peak. The list goes on. Functionally, this is great: you have every option available, at the touch of a screen. Emotionally, it’s terrible. You’re filled with uncertainty and confusion, and after you’ve had a guess and chosen a ticket, you spend most of the journey dreading the appearance of the guard, half expecting a slap on the wrist, or the wallet. This is why many passengers still queue at the ticket desk to get the best-priced ticket for them. It’s also why savvy businesses across all industries are upping the human factor, especially when it’s a big life or money moment. In an increasingly digital world, having humans as part of your experience isn’t the cost it’s seen to be, but a benefit, a premium differentiator in an otherwise price-based race to the bottom. Luxury companies – be it five-star hotels, upper-class flying, or chauffeur-driven cars – have always known that it’s the people at the heart of their experience that make the difference. In banking, First Direct still differentiates by “recruiting the smile and training the skill”; in tourism, Trailfinders remains hugely successful by bringing in advisers with real-world travel experience. Even the likes of Amazon and Airbnb still have a person at the end of the phone for when something goes wrong. 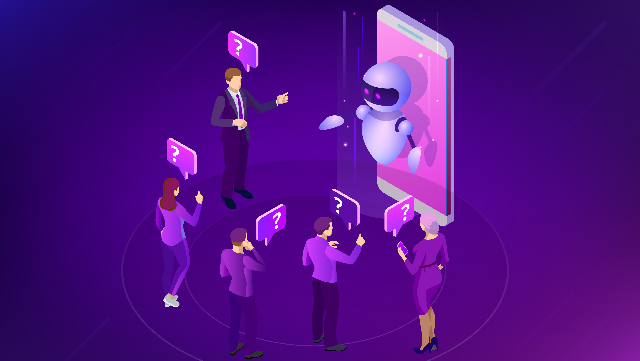 Understanding which experiences to automate and which require a human touch may become the biggest strategic decision companies have to make in terms of customer experience over the next few years. And getting the right people recruited, engaged and motivated to deliver that experience will be crucial. After all, it’s relatively easy for competitors to copy your IT platform or your business model. It’s a lot harder to copy your people. John J Sills is managing director at The Foundation, which helps organisations to achieve customer-led success.